Greetings, Dear One, yes, it is I, Christ. 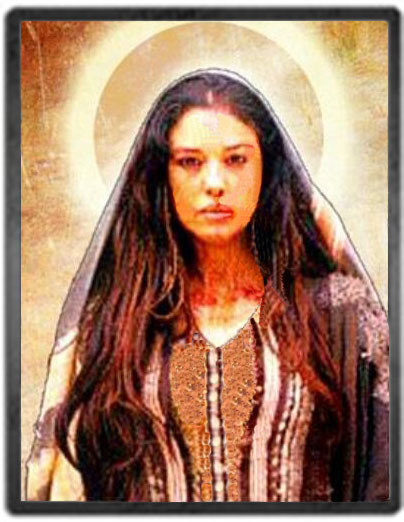 My beloved Mary Magdalene is here as well. We wish to talk today about the soul evolution, and the frequencies that each of you hold and carry within your soul essence. It is of grave importance that you understand that within each time frame of your individual Earthly lives, there is an individual lesson that each of you are to master. This is a part of your soul growth and this is a part of your soul evolution. This is a part of returning to your self-mastery, and ascending to the masters that you are. And so today, Dearest Children, I ask you to hold this frequency within your being, so beautifully, so effervescently, so powerfully, for today, the blue ray of light is now stepping forward and Archangel Michael is coming to bring the strength and the energy within your being. And so know, at this time, that as you open your heart to this beautiful light and to the beautiful frequency of the blue ray, simply allow yourself to emerge into this frequency with the greatest of glory, with the greatest of peace, with the greatest of light. And so, Dear Sons and Daughters, please take a deep, inhaling breath and begin to breathe in the blue ray, calling in this frequency, as my Mary and I begin to help bring forth the energy of your conscious awareness to the evolution of your own soul, and assisting each of you individually to step forward in to the frequency of the life lesson that is for you to receive upon this particular year of your life. It is difficult, Dearest Ones, for you to prepare yourself for these lessons, for many souls are oftentimes afraid of moving through their life challenges, and it is difficult enough, as we say, to be on the earth plane without having as they say another level, or something to worry about. 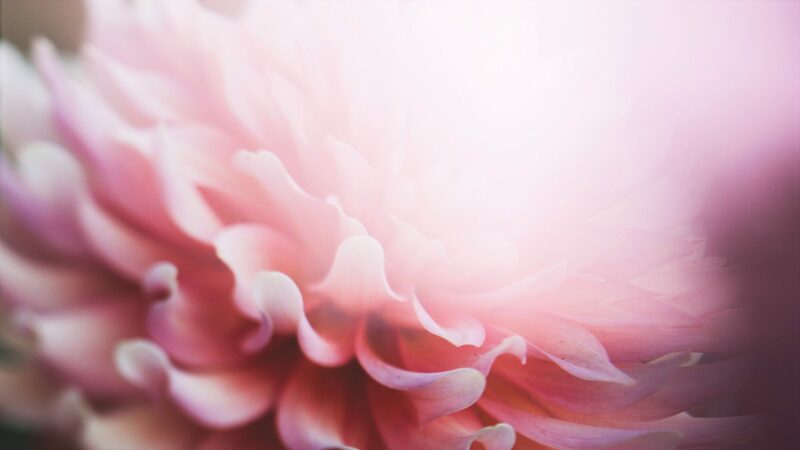 This is not what we are asking, or trying to cause any discomfort for each of you today, we are simply helping you to understand that the soul is moving forward in its evolution, into the ascension process, and this is a part of the journey of being human. Just as Mary and I had our own soul lessons, we were able to move through our humanness and to move through the life cycles of the earthly incarnation, and to move through the soul lessons, sometimes we say with grace and ease, and most times it was quite difficult, and yet today as we step forward to help assist you, we want you to know that it is of grave importance, that we are here to help you, so if you are struggling, as they say, with any issue, please call upon us and know that if there is some challenge that you are facing, please surrender to us and we will help you through this time period of your evolution of the soul. I will step back and allow my Mary to speak. Greetings my beloveds, yes it is I, Mary Magdalene. As Yeshua has spoken, we have come forward today to talk about the evolution of the soul, and the soul growth for each soul upon this Earth plane. Many may understand this cognitively, or many may have not even considered that you have soul lessons and yearly soul lessons that each of you are mastering from year to year. Today, as we step into this frequency of transmutation, we ask that you allow yourself to receive from your open heart the energy from Yeshua and myself as we help you to transmute and to transcend the life lessons and the particular life lesson that you have stepped forward into this mastery year of 2018 to master. And so, Dearest Ones, I ask that you breathe into your heart chakra and allow yourself to begin to feel this energy and this essence of peace, and to feel this essence and energy of love, and begin to feel this energy and essence of joy. It is of great excitement as you step forward into this frequency to invite the essence of your soul to merge with your physicality, and to call in the energy of joy as you transcend and as you master your individual life lessons. And so, Dearest Ones, please do not be afraid, please do not feel as if this Earth life is difficult. We want you to live in joy, that is why we are stepping forward today, this is why we are calling this energy forward, calling in the vibration of joy, so that you can transmute easily and effortlessly with the frequency of Elohim Grace, and so breathe, my children, breathe, breathe in the frequency of Elohim Grace and breathe in the vibration of joy. Allowing all that no longer serves you to be transmuted. To allow all energy that you are holding within yourself, and that which you are mastering in your soul essence to return to joy. The powerful vibration of joy has been underestimated and not understood. It is indeed the last lesson of Yeshua’s Master Teachings for a reason, it holds the frequency and the totality of the God essence. Joy, joy, joy. Breathe in the vibrational frequency of joy, call in this energy into every aspect of your being. Breathe in the vibrational frequency of joy, calling this energy into your being, and allowing this frequency to now merge with your oversoul, as you now step forward in your life lessons, in the soul evolution of the journey of your soul with joy. Can you imagine if you move forward through the rest of your days here on this Earthplane with joy within your heart? With joy within every cell, every fiber, every pore of your being? Calling in this frequency into your physicality, in to every organ, into every tissue of your body, calling this frequency into your consciousness, into your subconscious, into all aspects of your being, calling in this frequency of joy. Feel the vibration, Dearest Ones, and allow yourself to release, letting go and letting God, all of the challenges of the soul. This is a part of what we are bringing forth, as we are teaching and bringing forth the energy of Divine Union, we are bringing and calling forth the energy of sacred balance into all aspects of your being. Calling in the joy and the happiness and the frequency of this powerful energy. Each of you have this essence within your being, each of you hold the vibration of the God essence of joy within your being, and yet it has eluded you, some more than others. And yet now, Dearest Children, begin to feel this energy and this essence upon your own soul. As you open your heart to this energy of peace, today Yeshua and I stand with you, and we ask you, do you wish to make a choice? Do you wish to live in joy, or do you wish to live in fear? It is time, Dearest Ones, that you stand in the light and the love and the power of who you are as the beautiful God energy and essence of all that you are. We are here bringing this frequency to you as a gift, a celebration of you, to celebrate you, to celebrate your beautiful spirit, to celebrate the beautiful energy that you each have held through eons of time upon this Earth plane, as we’ve said many times before, you have sacrificed yourselves in many ways to be upon the Earth plane. And today, Dearest Ones, we gift you with joy, we bring the frequency of happiness and joy to you so that your soul may begin to rest. And as you receive the lessons of the soul lessons for each of you upon this year, we ask that you understand and to choose joy over any struggle or strife that you are experiencing, simply allowing yourself to make that choice, I choose joy, I choose happiness, I choose peace, I choose balance. This is the conscious decision for each of you if you so choose to hold this within your own essence. We know how difficult it is, for the struggle to occur, and we know how difficult it is to be in the human body. This is why we come as your teachers, this is why we have come time after time after time to help humanity to master and to move into self-mastery, to ascend in consciousness, to ascend the vibration into the energy of Oneness, peace, love, and joy. And so know, at this time, we know how hard it is, how difficult it is, to remain in this frequency. But we implore you to hold this within your thought forms during the times of challenge through these soul lessons. And once you are able to transmute the frequencies within your being, then the next time that you face another life lesson or challenge, as they say, you’ll be able to move through it easily and effortlessly with joy and grace. This is the miracle as they say, this is the miracle. Begin to call in the energy of the miracle of joy to assist you at this time. And as you step forward into this frequency, may you begin to feel the relaxation within your system. May you begin to feel your heart beginning to expand, may you begin to feel the energy of love coming over you, as if there is a sense of relief. I am not alone. And yes, perhaps having the understanding that the life lessons that you face in your human form to self-mastery, are not an easy task, but you are being assisted, assisted through us and through all of the heavenly angelic hosts, and the energy of the God essence. You are never alone, Dearest Children, you are never alone. And so allow yourself to release your sadness and your fear, and begin to feel the joy. Settling your heart and saying yes, I choose to hold this frequency, I choose to transmute and to understand all that I am bringing forth into this lifetime. All the joy that I hold within my essence, I choose to bring it onto the world. And so, Dearest One, allow this to emit from your being, through your eyes, through your vocal chords, through your very essence. And to realize, Dearest Children, this is the key that brings you happiness and peace. And so know, Dearest Ones, that today, as you hold the key within your hand, that you are the master of your own ship. It helps you to understand that you are in control of what is happening to you and around you. Because you have the choice to change your attitude, to face your challenges with joy or with despair. And so, Dearest Ones, you are the teachers, you are the masters, you are the wayshowers, and in many ways you are the chosen ones, you have chosen to awaken and to understand how powerful you are. And so, Dear Sons and Daughters, allow us to help you to begin to clear these frequencies from the essence of your being, to begin to clear the darkness and any sadness that you are facing, and begin to release the energy that no longer serves you. Know that in this year of 2018 it is simply time for all of you to step forward into your rightful place, so much is happening, so much is shifting, so much is changing, please step forward into your rightful position, and allow the frequency of joy to carry you forward. And so, Dear Ones, can you see yourself on your own individual pathway, on your own individual road, and you are moving forward with grace and ease. Can you see as you turn and look behind you, all that you have accomplished, and all is well. Knowing that as you move forward into your pathway there is nothing to worry about, Dearest Children. Please ease the mind and do not be afraid of the soul lessons, of the journey of life. As had been said many times before, live in the world but not of it. Raise your vibration to the frequency that you are no longer affected by the soul lessons, and no longer affected by the energies that are around you or within you. Begin to open your heart to this energy and vibrational frequency of peace, and know, at this time, that you heart will open to the frequency of love, and love will heal all, love will heal all. Please call this within yourself now as you face any challenges, love will heal all. We know, Dearest Ones, that we have spoken of this many times before, but now today, we are asking you to call it in to your being, to truly hold this within your intention, to hold this within your vibration, and to allow it to help you. Allow the frequency that we are bringing forward to be palpable as they say, as if you are wearing the frequency of joy on your skin. Know at this time, Dear Sons and Daughters, that what you bring forward as you assist and help others to merge through their own soul lessons, that you have mastered that lesson. And then you can extend your hand to another, and help others to master their own life lessons with grace and ease and joy, each one teach one, each one lead one. Remember when each of you and all of you lived in Lemuria, and you held that sacred balance inside of your being, for you had mastered the soul journey. Can you imagine that you have come back now again to replay the soul lessons. You say why? Because you are here at this different time, at this different space in your Earthly bodies to say yes, I am doing this again, I am raising my frequency to another level and I am ascending into higher consciousness, I am moving into another level of mastery, that is what this journey is about. Perhaps many of you have wondered, if I have done this before, why do I have to do it again, and yet, Dearest Children, it is another level of growth. It’s another level of returning to unity consciousness and oneness with all of life. And so I ask you, Dearest Children, to be aware of this on a conscious level, this is a part of the assignment that each of you agreed to, so that you do not become distraught or in despair, or confused. This may elude many, this may confuse many, but it is not our intention. It is simply to help to clarify that what you are bringing forward in your life with each moment in time is a choice. I can give in to life and what I feel is the despair and hopelessness, and fall into depression and chaos, or I can merge with joy within my heart and conquer that which I am to move through with grace and ease. We are here, you have more spiritual helpers and team players as they say on your side then you can imagine, and so call upon us, call upon your spiritual team, call upon the Great Creator to help you during times of depression, despair, when you feel you can no longer go on, surrender, trust, allow, and receive. Surrender, trust, allow, and receive. Surrender, trust, allow, and receive when you feel you can no longer go on, simply surrender, trust, allow, and receive. And know that today we stand with you, and we stand beside you. Many of the lessons that each of you are mastering are patience, compassion and self-love. Begin to learn and to feel the vibrational frequency of unconditional love, and mercy and compassion for yourself. As you begin to call in these frequencies it will help you to have patience, to have patience with yourself, to have patience with others, to hold compassion for yourself, to hold compassion for others. To love yourself and to love others. These three life lessons are most predominant for all of you upon this particular call, self-love, compassion, and patience. And so allow us to assist you, allow us to help you to master this in this particular incarnation, in this particular life year. As you ascend into higher consciousness, then you’ll be able to master your lessons easily, effortlessly, as if you are now on an escalator and you are moving quickly to the next level. As you look behind yourself you may say, oh, that was not as hard as I thought, or perhaps, yes, I am glad that that is behind me. But either way, Dearest Children, I ask you to move forward and keep your minds focused and centered on what each of you are here to do. You are all teachers, you are all wayshowers, you are all messengers of light, just as Yeshua and I, you are in many ways our disciples and you are holding the same level of frequency, of love within your heart as we are. We ask that you expand your heart, first to yourself and to say yes, I choose to begin to master all that no longer serves me, I choose to master that which is presented before me, for each day you have a choice, will you hold compassion and love and mercy towards another, or will you become fearful or angry or disillusioned. Yes, Dearest Children, as we have said, we know this Earth life is difficult, we lived it. We understood, we understand your own pain and sorrow. We are here to lift you up to raise you up, to assist you so that you may move forward to help yourself. Time is of the essence, as they say, and there is no time to waste. Time is of the essence, and there is no time to waste, time is of the essence, and there is no time to waste. And you say, why do we say this all the time? When there is no time? Yes, Dearest Ones, you are correct, there is no time here on our side, but there is a timetable, as they say, where we are helping and assisting all of humanity to move forward into their ascension process. And so, we implore you and we encourage you to master your life lessons with grace and ease, and so, Dearest Children, as you stand with us and you stand beside us, we are holding your hands and we are also sending energy into your heart, so that you may begin to be gentle and kind with yourself, and begin to feel peace. That all is in order, and all is as it should be, taking one moment at a time and making a choice today, I choose, whatever is facing me, to face it with joy and peace and solitude, and trusting and surrendering into Divine will, surrendering into Divine will, that simply all is in order and all is as it should be. For today, Dearest Ones, this is your graduation day, this is your celebration day, this is a day indeed where you have come home to yourself and accept the frequency of joy within your heart, as we stand with you, we stand beside you, and we open your heart to love. Step forward, my Dear Children, with Yeshua and I, and with our Mother Mary, with Mother Mary, Yeshua and I, as we bring you to the eighth dimensional frequency of light, and there as you sit with us upon this day, we will help you to hold this frequency of joy within your being, Mother and Yeshua and I make our covenant and promise onto you that we will be with you as long as you need us, as you merge and free your energy into this vibration of joy. Go forward, my Dearest Children, with the understanding that once again all is in order and all is as it should be, as you free yourself of the lower constraints of your Earthly life and your Earthly self. We thank you for your time, we thank you for your attention, we thank you for the love that you are, now surrender, and be at peace.